(Rabat) – Pope Francis called for tolerance and peace at a mass for thousands of Catholics during a rare visit by a pontiff to Morocco, after warning the faithful there against trying to convert others. 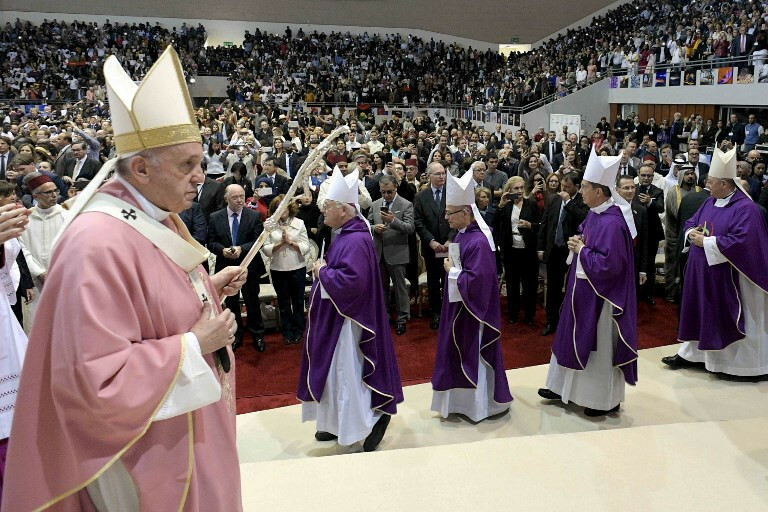 Ahead of the mass the pope insisted to an audience of around 400 at Rabat´s cathedral that trying to convert people to one´s own belief “always leads to an impasse”. Christians are a tiny minority in Morocco where 99 percent of the population is Muslim, with sub-Saharan Africans making up a large part of the country´s 30,000-strong Catholic community. Islam is the state religion and authorities are keen to stress the country´s “religious tolerance” which allows Christians and Jews to worship freely.